06/20/2019 - 06/21/2019 Mission Raceway Mission, B.C. 06/22/2019 - 06/23/2019 Mission Raceway Mission, B.C. 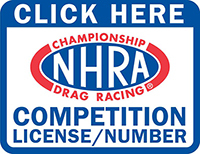 07/12/2019 - 07/14/2019 Woodburn Dragstrip Woodburn, Ore.
08/16/2019 - 08/18/2019 Pacific Raceways Kent, Wash.
09/13/2019 - 09/15/2019 Woodburn Dragstrip Woodburn, Ore. There are 6 event(s) scheduled for this series.